Visual quality is essential for TV at its fullest. Cinematography becomes more vivid, acting more nuanced, and details all the more crisp on today’s current sets. While the centerpiece for today’s home entertainment setups, a quality display is only the first step. Making the most of your TV, and getting the most out of your cable service, requires paying attention to some crucial details during setup and when browsing services like DIRECTV, Verizon Fios, or other cable providers. Confusing digital with HD is the first potential misstep that customers make. Digital is a format of video distribution, the alternate being electromagnetic waves of 20th century yore. HD (High definition), meanwhile, is a video resolution. That quite literally means the amount of pixels on the display. The more the better, but screen size any type can also prove a limitation when going HD. First, make sure to know the difference between scan type. Interlaced means changes alternate between vertical and horizontal pixel fields. Progressive, meanwhile, means that changes display in both pixel fields simultaneously. The standard for analog TV broadcasts and some channels, interlaced uses half the image frames per second. Detail becomes an issue at times, but what interlaced lacks in quality it more than makes up for by saving viewers a ton of bandwidth. No matter the input quality, screens can only display a maximum amount of noticeable detail. Smaller TVs, those in the 20-27 inch category, only require 480p to display everything the human eye can discern. The standard resolution for digital transmissions, 480p is also the default resolution of most DVD players. On larger displays, however, details once unnoticeable appear blurred. Screens 32-inches and above require a higher resolution picture to offer the comparable quality of 480p/i on screens 27 inches and below. 720p is a possible substitution, and is often put in the HD category. To be fair, the resolution does 30% more clarity on mid-sized screens. Colloquially, “HD” means a resolution of 1080 or above. Such resolutions normally require screens 37 inches or bigger, though some differences are noticeable on screens small as 32 inches. Like the past, a lot of channel’s standard HD broadcasts use interlaced images. The marvels of technology, however, enable TV sets to use their natural display as the standard. 1080p screens, therefore, will display 1080i data as 1080p. Screens with even higher resolutions are making their way onto the customer radar. The new benchmark for cutting edge is 2160p, though most sets use a resolution of 3840 x 2160 rather than the 4096 x 2160 resolution standard for most movie theatres. Talk about popcorn-worthy visuals! The old rules about screen size and display still capabilities apply, but those accustomed to larger screen sizes, think 50 inches and beyond, will notice a major quality bump. 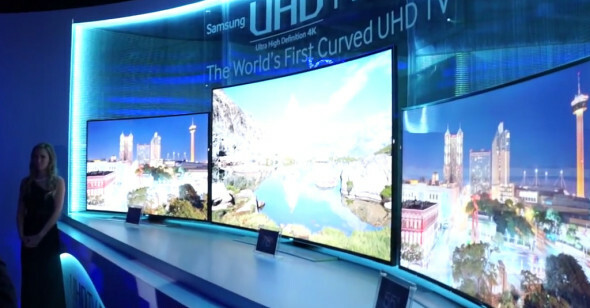 Such displays are available, but customers still need to find 2160p content. Most cable services at this point are offering UHD, but you’ll have to request it specifically from your provider. After making sure your TV can display HD it’s time to make sure your cable service offers it. Remember, digital typically means 480p. HD can mean 720p or 1080p. As screen size and resolutions climb so do the amount of services offering HD and UHD. Just calling them and upgrading does not ensure your TV will display HD right of the bat. Most reps will be sure to mention that. HD images contain so much data that viewers require altogether different hardware to receive it. The standard for computer monitors and old flat screens alike, DVI cables for digital video use a bulky connector head. HDMI cables, meanwhile, are necessary for HD. Those are narrower than DVI cable heads. HDMI jacks are now standard for everything from video cameras to PCs. In terms of compatibility, HDMI cables are increasingly a must-have. DVI jacks, on the other hand, are typically on older hardware. Going from digital to HD cable? You will probably need a new cable box to upgrade the content. Cable providers will have their service guys travel with a whole trunkful. Though sometimes customers will have to wait or opt for in-store pickup. Additionally, those opting for UHD may have to swap their old HD console for a model capable of processing 4K imagery. Sometimes outright asking for HD is too unspecific. Be sure to ask what resolution the service transmits content, and if that is the only option. Verizon Fios and similar providers offer HD TV plans. Sometimes HD or UHD goes on a channel-by-channel basis.